Rather predictably Poison Pen had assigned me to the hygiene crew when I returned to work the next day; it was official I was now Queen of the U Bend and spills! On the upside I did get my own trolley complete with walkie-talkie; oh the fun I was going to be having with that! The only highlight of my week had been my video calls with Ahmed although when he always ended them with “I am big miss you” and “when coming Turkey again”; I had to choke back the tears. Particularly, as I knew I was going to have to clean a helluva lot more U Bends to afford another trip to Turkey. I was grateful when Sunday came around as it was my only day off that week and I decided to accompany my Dad to his allotment. I thought that some clean fresh air and sun would chase my blues away. That and the fact that it was always wise to beat a hasty retreat when my mother was cooking Sunday lunch. Once she set foot inside her kitchen, she would transform into Vlad the Impaler and woe betide anyone who interrupted her mid meal preparation. As we opened the gate to the allotments, we were greeted by some of my Dad’s gardening buddies. He’d had the allotment for years and it always irked my mother that he would need one when we had such a sizeable garden. In the beginning I think she had resented the amount of time he spent there but as they became older it became less important to her. Whilst he unlocked his shed, I gazed around at his endeavours; his love and patience evident in the rows of neatly planted vegetables and the small flower bed that grew his prize-winning Dahlias. Stepping into his shed, was like opening the door to Dr Who’s Tardis. Ever since I was a small child, it had always appeared to be larger once you stepped inside; full of exciting and undiscovered treasures. It always smelled of potting compost and calor gas from the little camping stove that sat in the corner. There were trays of seedlings and bottles of my Dad’s home brew which he kept there for the slug & snail traps. If I’m honest, I think they were the only ones who truly appreciated it, as most of us who had had the misfortune of sampling it, thought it tasted like shower gel. Two threadbare old armchairs, long since discarded from Mum’s majestic lounge, took pride of place along with an old transistor radio; which Dad would use to listen to cricket matches and the BBC world service. The old shed had provided a haven for all sorts of wildlife over the years; nesting families of robins, hedgehogs and the odd fox. As a child I had taken refuge there myself on a number of occasions when I was hiding out from my mum, having committed some childhood misdemeanour; such as shaving my sister’s eyebrows whilst she was sleeping. We’d both also sneaked away to smoke our first (and last) illicit cigarettes there. I was reminded of the times as a child that I used to come here with my Dad, when we would share a picnic of comfort food lovingly prepared by him; banana sandwiches wrapped in grease-proof paper and warm lemonade. For some reason picnics always seemed to taste so much better sat there giggling in that old dusty shed. We would return home much later in the day, tired, dirty and sticky from lemonade. Mum would make us stand at the back door whilst she placed newspaper across the kitchen floor before we could step inside. After we had gingerly stepped across the newspaper, I was despatched to the bathroom for a thorough clean up supervised of course by my mother, the General. I don’t think I had ever seen my Dad as happy and relaxed as when he spent time here. I envied him; his face a picture of absolute contentment whilst he toiled away in his small horticultural paradise. He had always told me that a garden was a magical place full of thoughts and dreams and I couldn’t help but wonder what had been his. I said as much to him and he responded by telling me that all his dreams had come true. He said that all he had ever wanted was a family and when my sister and I were born, he had never wanted for anything else. As long as we had just enough, our health and our home, his life had been perfect and he had no regrets. I asked him whether he thought Mum was as happy but in my heart I already knew the answer. He said that she had always wanted a bigger house, a better car and in many ways had found life disappointing. He even said that it made her a little dissatisfied with life but when they had married, life had been different and they had had to make the best of what they were given. He said that in some aspects he wished he had been more ambitious or perhaps been a little more determined; but as he pointed out why waste your time counting stars when you already had the moon in your hands. For the second time that day unshed tears burned. I suggested we pack up and head home where Mum would have our lunch ready. We walked home in the sunshine, side by side, as we had done for many years; father and daughter together. As I straightened my bed later that day, I came across an envelope under my pillow. In my Dad’s unmistakeable handwriting were the words “Follow your dreams” with enough money inside for me to be able to do just that! I sat on the bed turning the notes over in my hands, tears coursing down my cheeks and all I could think was “Turkey here I come”! I cheated a bit as the shed is one from the Chelsea flower show but it’s similar to my Dad’s (as I’m not home at the moment) and had the same feel and plants around it! But my Dad’s the real deal! I think you have a point there! I will give him a hug when I next see him but I haven’t told him about this post yet so not sure what he’ll make of it!!!!! I actually got goose bumps reading this. So many thoughts, memories, feelings. What a remarkable, fantastic father you have! Your times together must mean the world to you. Enjoy your new journey forward. He is right, you know. Life is too short for regrets. I feel very lucky and very blessed. What a great Dad. If nothing else ever turned out right in your life (though I’m sure it will!) you will always have the most wonderful memories of times spent with a loving, generous and insightful father which many (including myself) will be jealous of. Life is on the up for you, but if you ever get down just remember how very lucky you are to have such a father AND a man who will ‘big miss you’ when you’re not there! Keep the posts coming. I love them! A truly delightful and moving post. Bless your Dad. He sounds simply wonderful. He is and the very next time I speak with him, I’m going to remind him! You don’t know what kind of a connection your post has created now between your dad and me! I’m so so so happy for you with my wet eyes writing this comment!!! Bless you! I have to admit I was filling up too! Your dad is obviously amazing! I teared up reading this! How kind of you to say Maggie. I was a bit nervous about publishing this post as its not like my normal style and wasn’t sure I could pull it off so coming from you; this is praise indeed. Wow! Your dad sounds like a wonderful man! I feel like mine is similar in many ways. He loves to garden and to cook (oh and play the guitar). I never see him more relaxed than when he does his little hobbies. Also I’ve been catching up on reading blogs–cannot believe Shady Simon had the gall to show up at the airport! And your awful coworkers!!! I so love your ongoing story and find myself eagerly awaiting each installment (I was ill this week and spent my time going back to the beginning and reading all through the present). This one also brings back fond memories of England. 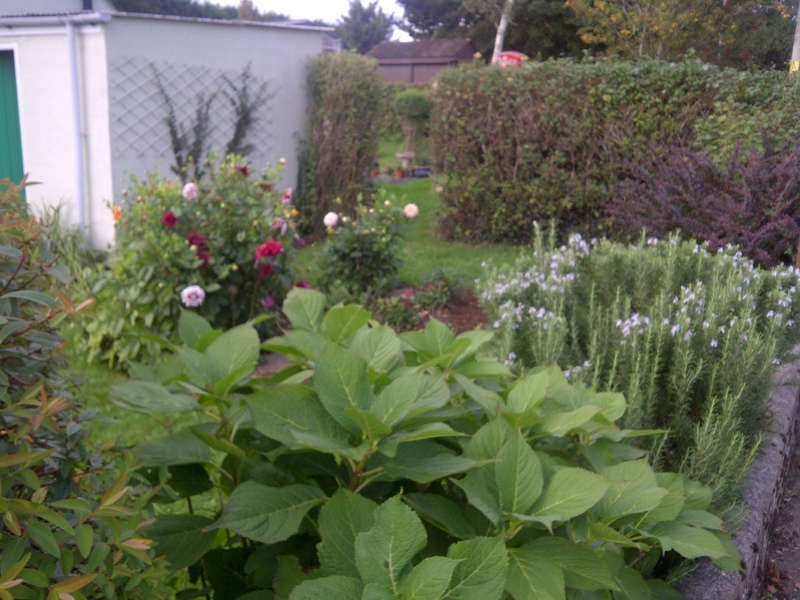 Our village (Inkberrow) had a house on the main road where the entire garden was planted with dahlias (from road to house). He sold them for 3 pounds a bunch at the local store. I always purchased as many as I could fit in the house! Aaaaahhhhh! Your Dad sounds wonderful. That bought a tear to my eye, that did – soppy cow that I am! I am so glad you got in touch because the one thing I have been most concerned about when I started this story, was being respectful about my host country and portraying Turkish people in a positive way. Thank you for all your kind words and you can be sure I will be keeping in touch! love love love this post! And I love your dad too 🙂 My dad passed away two years ago, he loved gardening as well. Yes! Bravo to your awesome dad and bravo to YOU!! Follow your dreams, sister! So happy for you! Thank you so much – I’m certainly going to give it my best shot! This one brought tears to my eyes just reading it! What a great dad! brought tears to my eyes! You are one lucky, lucky girl… but you already knew that! Your posts are always special. I do indeed feel blessed Gunta and thank you again for your kind words – going thru a bit of a funk at the moment so its nice to hear! Thank you for your kind compliment but its easy when you have such a nice subject (my dad) to write about! What a lovely dad you have, and he’s so right. In his own words, he’s not a big talker! This post really brought up a lot of memories for me. Your dad and my dad—very much alike. Both gardeners who wanted the happiest life for their girls. It seems that many of the people who commented had the same kind of dad. Aren’t we a lucky lot, having dads who encourage us to follow our dreams. I bet your dad would be a mean chess player, checkmate Simon the serial shagger! I need the “like” button of facebook here!!! Did you really manage to shave your sister’s eyebrows without waking her up? Unfortunately, she woke up just as I had finished and made enough noise to alert the whole street so I got the hell out of dodge whilst my mother calmed down. wow… teared up reading this. what a wonderful father! He’s a fairly quiet and unassuming man but he’s a star! Your dad is a smart man; it’s good that you followed his advice! And what are U bends? How dare you write a post that got me all choked up at the end?!!! You are supposed to provide my doses of laughter as I read your blog out loud to my mom over skype! Your dad is awesome!! Super happy for you! How spooky, I read the gardening blogs out to my Dad over skype! He hasn’t quite mastered the art of laptops just yet! Glad you liked it as writing bittersweet is a relatively new experience for me! No doubt I’ll be back to writing about the mad, bad and indifferent very soon. You go girl! I am so excited for you and whats to come. Just. Wow. Your dad, wow. Your Dad is a very wise man and you are a very blessed young woman to be loved so well. He’s right you know … follow your heart. It is the essence of who you are. Your heart is not your enemy. So many of us lock our hearts away because of the pain they contain. The only problem with trying to protect yourself that way is that with your heart locked away not only do you not feel the pain, but you can’t/don’t feel the love and joy around you as well. That’s the deal 🙂 From my own experience I have discovered when I gave my heart a voice I was able to release the pain it carried and receive love and joy in it’s place. What comes to mind is the movie “Shadowlands” about C.S. Lewis. He falls in love late in life and doesn’t realize it until his wife is dying with cancer. At one point she asks him — “Is it worth it?” He replies “Is what worth it?” Her response was “the joy now is part of the sorrow then”. His answer and mine are YES, it’s worth it, most definitely!! I look forward to reading more as you follow your heart! wow your Dad sounds amazing! this is the most beautiful post so far…. first I thought the allotment was gorgeous, then your memories of going there with your Dad, then your Dad giving you valuable advice to follow your dream. This Dad of yours is a STAR!!!!!!! the best EVER!!!!! What a lovely thing to say! My Dad is most definitely the “go to” guy in times of trouble. your Dad is fab, I have said so in many of your posts, it comes through. Tell him, tell him. Tell your loved ones how much you love them. when they are taken from us, and you can’t speak to them any more, you can’t hug them, then you wish you’d said and done so many things. Do it now! I will and he had a really good laugh reading all your comments about his shelving skills – he tells all the boys at the allotment (none of whom are under 65)! He’ll always be my hero! oh my, I’m sitting here blubbering now!! and can I just say…I LOVE your dad!! what a sweetheart. and I’m learning all sorts of new British words and phrases 🙂 okay, it’s off to bed now for I must make it into the office tomorrow even if I’m not quite 100%…..thanks for sharing this story. it’s been so fun to read!! All my blogging friends love my Dad and his allotment as I write about him often. Sadly he had a stroke in October which left him semi-paralysed so not as active as before but we know we’ve been luckier than most and remain optimistic about his recovery. Him more so as he can’t stand my driving! Marianne sent him a beautiful picture which he was tickled pink with. It has pride of place in our conservatory! oh no, sorry to hear about his stroke. I hope he can recover. what a sweetheart that Marianne 😉 I’m sure it is just lovely. she takes great photos!! Oh Dallas was not expecting this….your Father sounds like he was one uber enlightened man!!!! Creator bless him…. I adored my Father too. he was my BUDDHA & my Rock…..